SiliconDrive – no moving parts. 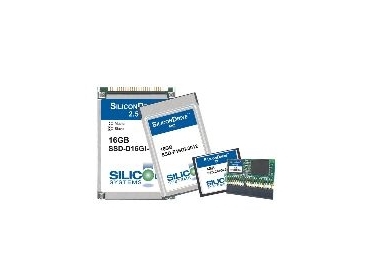 SILICONDRIVE by Silicon Systems has no moving parts and operates reliably in extreme conditions. SiliconDrive is engineered to overcome the problems associated with hard drives and flash cards that were designed for consumer electronics and personal computer applications. SiliconDrives, available from Control Synergy , are designed for applications where key design metrics are: high availability, multi-year product lifecycles, embedded operating system compatibility, small mechanical footprint, and low power consumption. SiliconSystem's technology eliminates the number one cause of storage system field failures. The patented PowerArmor technology is field-proven to eliminate drive corruption in the event of an ungraceful power-down, brownout, power spike, or unstable voltage level. This technology prevents data corruption and loss by integrating proprietary voltage detection circuitry and logic into every SiliconDrive. PowerArmor protects critical data files by latching address lines to ensure that data is written to the proper location. SiliconSystem Drives also feature SiSMART which self-monitors the solid-state storage system usage and accurately forecasts useable life. Traditional flash cards run until failure. SiSMART acts as an early warning system by constantly monitoring and reporting the exact amount of remaining storage system life. SiSMART allows OEMs to build intelligence into host systems that enables users to set maintenance and data collection thresholds to ensure storage system life. The technology is integrated into every SiliconDrive to enhance storage system performance and reliability. Memory types available are: CF, PC Card, 2.5" drive and module, 32MB to 16GB. Industrial temperature specs: -40°C to +85°C.